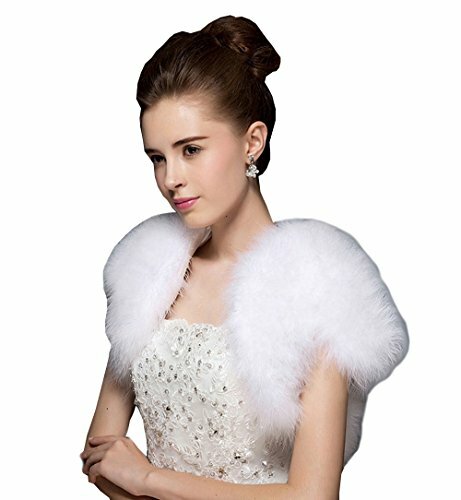 Sweet fashion soft fur shawls wraps perfect accessory for wedding dress, lady party shows, any other formal occasions and winter outdoor wear, only sold by KelaixiangKeep warm and make you look nice and elegant.Anything else we can help or any other question you have, please feel free to contact with us and we will reply you within 24 hours. Shipped out with 2-3 business days and will arrive at you in 7-12 business days after shipping. Please choose expedited shipping service, will take about 3-4 business days to arrive after shipping.